I am a Henna Addict. I have had a love affair with Henna since as long as I can remember. Henna, or Mhendi, is a gorgeous natural paste that allows us ladies to adorn ourselves with temporary tattoos, ones that are artistically imprinted on the skin with swirls and petal shaped motifs. What’s not to love about that?! 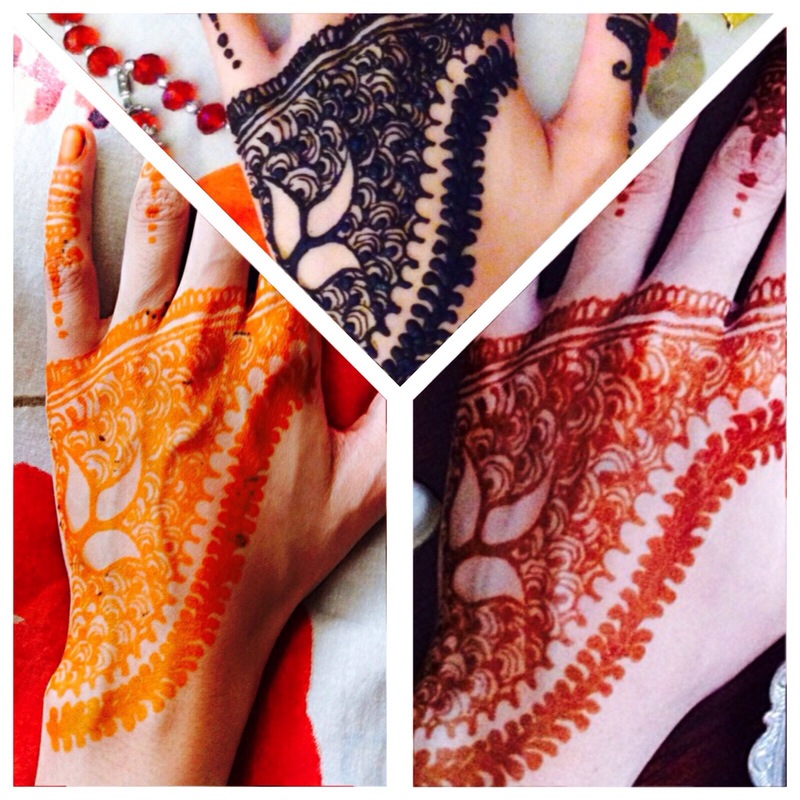 From the start, I loved having my henna put on my hands and feet. I would sit ever so still whilst the henna artist worked her magic. The henna artist was usually my mother, and though she was not at all a professional and her lines were more squiggly than swirly, I adored every inch of it. In the summer after my university course was complete, I decided it was time I mastered the art of applying mhendi. I began practicing on myself, going through a ton of cones and ending up with a bright orange (Oompa Loompa looking) right hand. My mother kept encouraging me and slowly I grew more confident. I would normally sit with my Iphone and google mhendi patterns,copying the ones I liked best. I began practicing on my mother and cousins, and although I was slow, my fingers began to manipulate the cone easily. As time has gone on, my love for henna has only grown stronger. My preference for mhendi designs have shifted from traditional intricate Indian motifs to more simplistic and elegant Emirati designs. (Living in Dubai is the cause of this new preference.) I am still very much slow as a tortoise when applying henna, but I would rather that the design is perfect, than quickly applied. My lines are also not as polished, and sometimes rather squiggly, but I am working on that! I have also evolved from copying patterns from google images to being inspired by henna Instagram accounts. 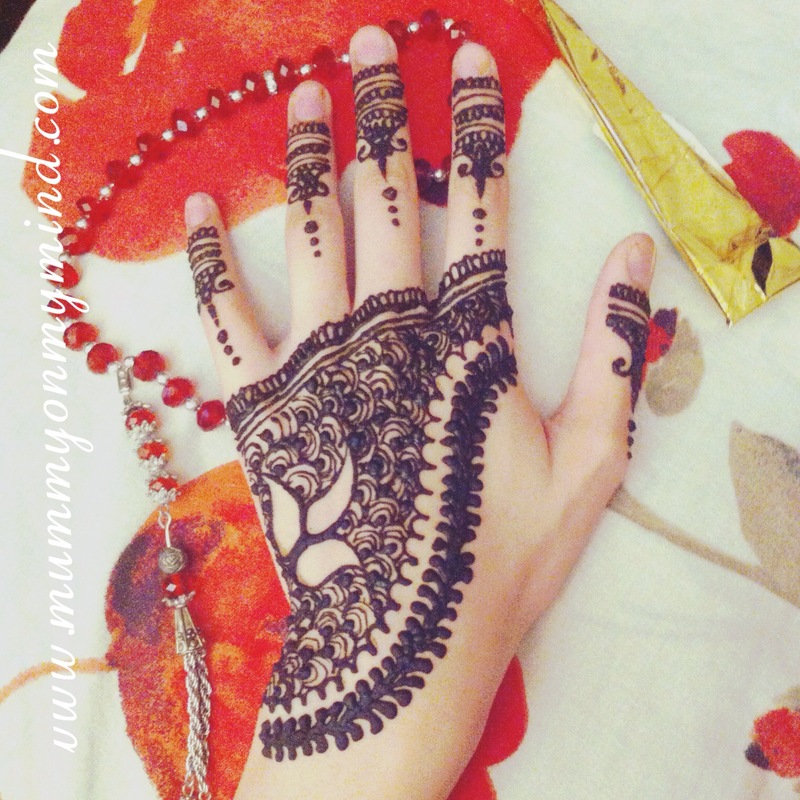 My current favourite Instagram accounts for Henna are: @sarashenna, @majlis_alhenna, @hennabydivya, @henna_nurahshenna and @royal_mehndi. If you are looking for inspiration, do check out these accounts! Henna for me is a very romantic gesture. In the Indian culture it is said that the darker the mhendi stain, the deeper the love your husband has for you. Thankfully for Mr Z, my mhendi stains have almost always come out dark. I am so glad that Mr Z loves henna as much as I do, though he of course does not apply it on himself. I do know of an Aunt, whose husband hates the smell of henna, which is why she does not put on any henna whatsoever. I think mine and Mr Z’s marriage would be in danger if this was the case for us! One thing I will mention that I am not a fan of when it comes to henna is when it begins to fade. This is because some parts of the design fade quicker than the rest. Also if you have unluckily bought a mhendi cone with lots of artificial ingredients or colour enhancing chemicals, you will find that the stain will begin to wither away very roughly. Therefore, natural henna is always the best to use, in my opinion. The henna stains can always be darkened by applying lemon juice on the henna as it dries, or many other methods that have been around for centuries. I remember my late grandmother telling me how henna was applied during their time. They would simply apply henna paste onto their palms and close their fists tight shut. There were no intricate designs like there are now. This then evolved into applying henna on the entire palm and fingers, except the thumb, after which came the very popular circular “mandela” in the middle of the palm, whilst fingertips were also caked in the mhendi paste. Henna trends seem to be going back to the mandela pattern, though these are now filled with delicate patterns, rather than being a block circle. Since having Baby Z, getting the time to apply henna and allowing it to dry is definitely more challenging. He has been the cause of many henna smudges. However, just like the gagging did not stop me when I was a little girl, nor will Baby Z! 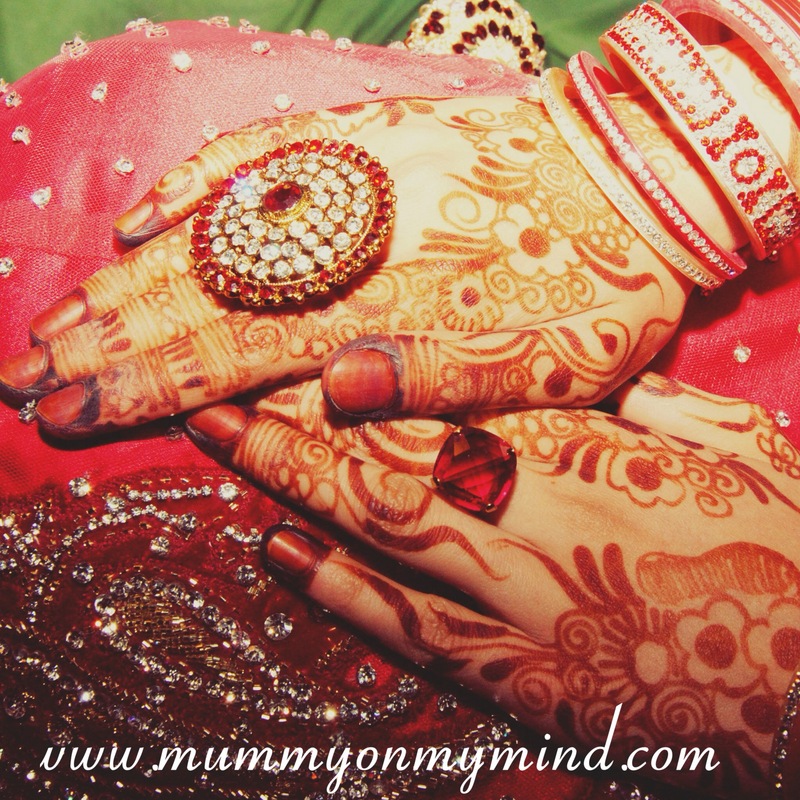 Henna for me is like jewellery, a way of adorning oneself. It gives me self confidence, makes me feel more elegant and beautiful and just gets me all warm and fuzzy inside. Henna makes me very very happy and I will forever be a Henna Addict. Are there any other Henna Addicts out there? Have you ever tried (or smelled) Henna? I would love to know! Feel free to share your thoughts in the comments section below. Note: The Instagram accounts that I have recommended are based on my own opinion. I have not been paid or asked by the Instagram account owners to recommend them in this post. Henna is amazing, I loved watching the ladies do it on the beach on my holiday to goa. 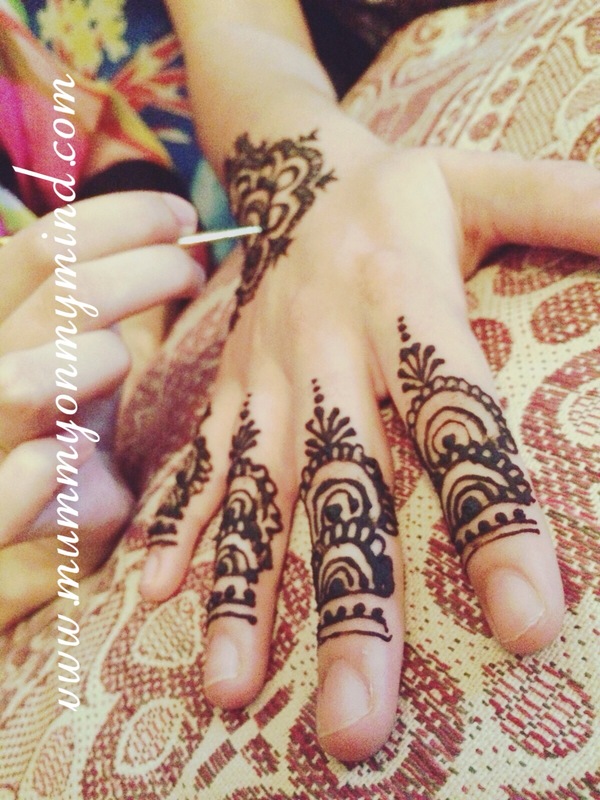 Have you had the chance of getting Henna applied on yourself? I would definitely recommend you give it a go. Thank you so much Sara, and Congratulations on your pregnancy! I love your simple and elegant designs, which means that they dry super quick too, and I can get back to attending to Baby Z as soon as possible! 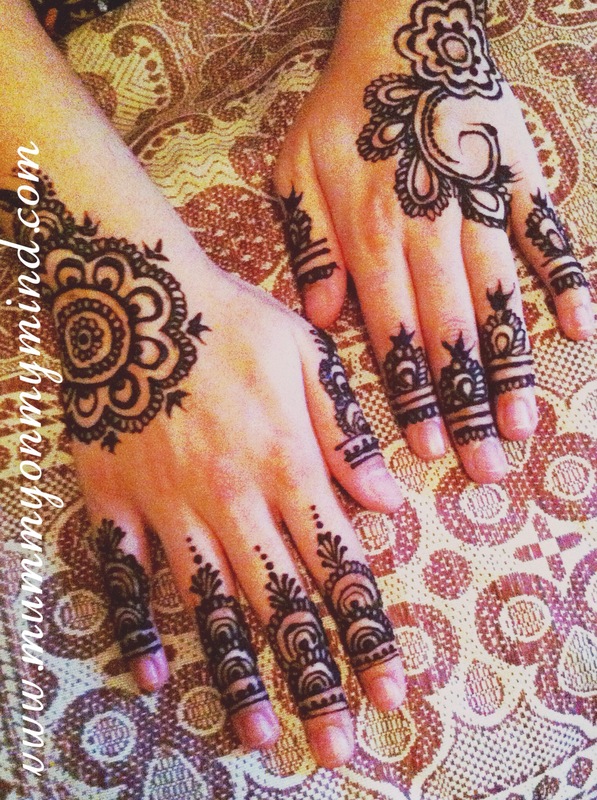 I love henna and used to love getting it done when we lived in the Middle East. Now I want to start doing it myself too, living in Greece though I don’t know where I can get hold of henna to make my own paste and the cones to fill, Do you have any idea where I could order them from? Thanks and I love the blog. Thank you for loving the blog. I get my henna cones from India, so sorry I have no idea where you could order them from. Perhaps try out any local Asian stores, they are bound to have the powder or even ready made cones. 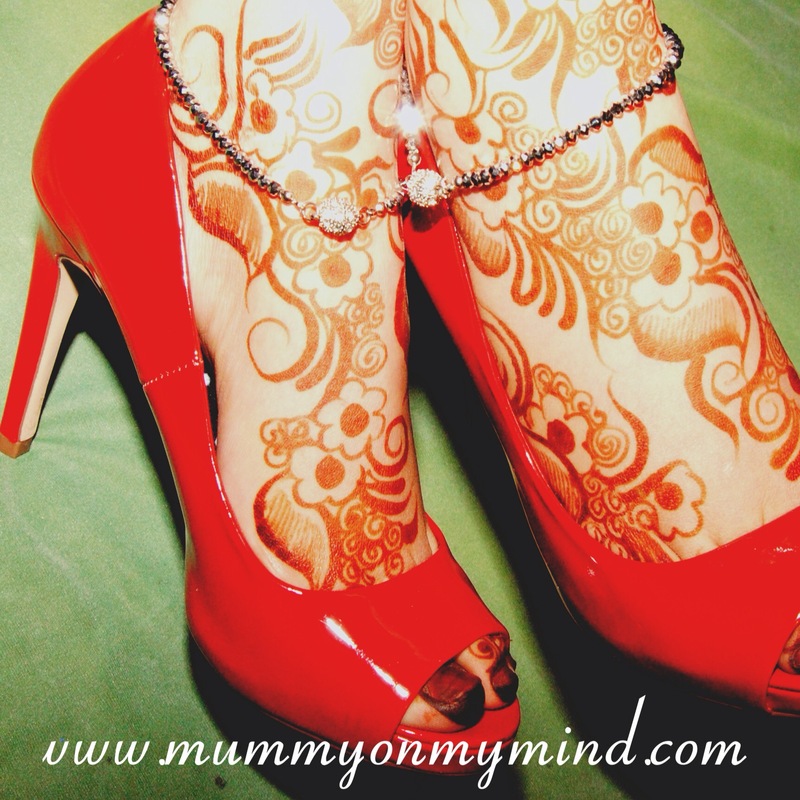 Would love to see your henna art when you get around to it! ? O wow! Sorry I can’t be of any help. Hope you find some henna soon. Thank you, and if you hear of anywhere good to order on line, let me know.